Martyn Joseph (born July 15, 1960, in Penarth, Wales) is a Welsh singer-songwriter whose music primarily blends Celtic and folk, while his songwriting often focuses on social protest. At first glance Martyn Joseph is (just) another gifted singer songwriter. First impressions are there to mislead of course: Joseph's ambition is broader than entertainment, deeper than commerce. Some musicians want to move your feet, some just want to move you: Martyn Joseph wants to move heaven and earth. Somewhere back in the middle distance Martyn Joseph emerged from the pack and we began to notice. At first glance Martyn Joseph is (just) another gifted singer songwriter. First impressions are there to mislead of course: Joseph's ambition is broader than entertainment, deeper than commerce. Some musicians want to move your feet, some just want to move you: Martyn Joseph wants to move heaven and earth. Somewhere back in the middle distance Martyn Joseph emerged from the pack and we began to notice. For a moment there he might have been a pop-star, certainly a protest-singer, a balladeer now and then, a Celtic rock star before they were in vogue, a folk troubadour and then, just, Martyn Joseph. Darkness on the edge of Cardiff. If he has a reputation onstage as a raconteur, extemporizing lyrics to fit every occasion, his songs have always been infected with a discreet but defiant god bothering, music more interested in the forgotten than the remembered, the way things might be than the way they have become. It is less the ghost of Tom Jones than a Holy Ghost music, an aching and a longing for another way, another place, where you can treasure the questions that have no answers. Depending on where he was at the time, some of these songs have had a fortune spent on colouring them in while others are the second-take line drawings from the home studio or Polaroid's snapped live in the back of beyond. The consistency is the voice the place where he stands, from where he chooses to look at life. This is music that articulates a yearning for another world that is yet to be born, songs of sorrow acquainted with grief but, nevertheless, melodies carried in sunlight, thunder and rainbows from the same sky. And as his 'Best Of' collection illustrates, Joseph's work matures with age. If these songs are already word-perfect to fans, in the future they will be covered by Britain's two leading contemporary music magazines Q, and, MoJo, respectively, describe Martyn Joseph as having 'a depth, resonance and emotional punch, which belies comparisons', and as being 'an artist of enduring worth'. Meanwhile The Guardian was transfixed by this gifted and gracious Welshman's 'burnished voice' whilst Tom Robinson of BBC 6 Music and iconic songwriter himself, regards Martyn as one of Britain's 'most charismatic and electrifying performers'. The Boston Globe concluded that the man was a 'profound experience'. Such press plaudits, and there are many more to choose from, would make any publicist purr with pleasure, but for Martyn Joseph, he regards them in a detached, almost incidental kind of way. For Martyn, 'it's the song that matters'. Yet such is Martyn's stature as an acoustic artist of almost hypnotic ability that BBC Radio 2, Britain's most listened to radio network, featured Martyn in their peak-time series on Singer/Songwriters. To be awarded the garland of your own programme on the Sony 'Station Of The Year', and placed alongside the likes of Elvis Costello, Richard Thompson and Mary Chapin Carpenter really says it all about Martyn's abilities. 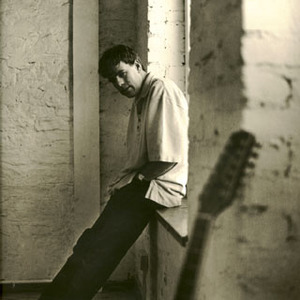 Martyn's 20 year career has embraced some notable achievements including 5 Top 50 UK chart positions, with such songs as 'Dolphins Make Me Cry', 'Working Mother' and 'Let's Talk About It In The Morning', and appearances and tours with, amongst others, Suzanne Vega, Marc Cohn, Joan Armatrading, Clannad, Chris De Burgh, Jools Holland, Art Garfunkel, and even, Celine Dion. However, for Martyn, these various accomplishments, satisfying though they are, count as just part of the process, the necessary presentation aspect. As he says, 'Really what I do is try and write songs that might make a difference'. His touring work and appearances over the years, on both sides of the Atlantic, have helped to establish this gifted and gracious Welshman as one of the foremost singer/songwriters of his generation. As Janis Ian said of sharing a stage with Martyn 'I loved working with him. I loved listening to him, I'd love to work with him again, anytime, anyplace'. Martyn's particular strength is in the lyrical narrative of his songs, be they contemporary protests against injustice and inhumanity, a musical psalm to the fulfillment and fragilities of love, or a piercing pr?cis of social history, 'it's the song that can soothe, explain, and even in a small way save us'. In this manner he carries on in the tradition of the six string balladeer as both catalyst and interpreter of our raddled and rewarding times, our personal and communal stories sung out loud in the spirit of Woody Guthrie, Ewan MacColl, Hank Williams and Bruce Springsteen. That tradition, and sound, that thankfully still emerges from The Hallowed Hobo's Hall of Fame.